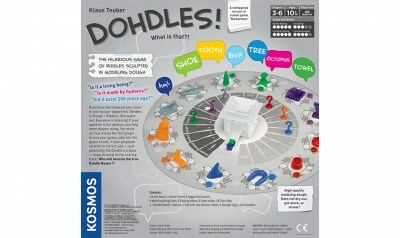 Dohdles are riddles made of dough! 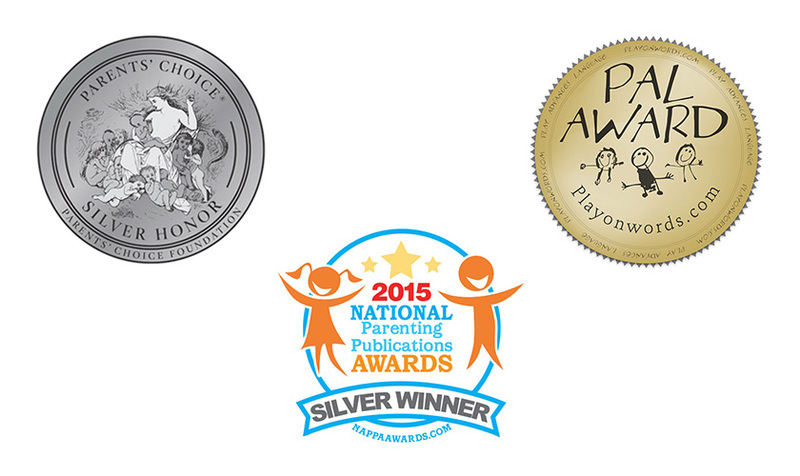 Exercise your imagination in this artistic and hilarious sculpting and guessing game for families and parties of three to six players. Create a Dohdle by sculpting the approximate shape of an object or living thing — or of a part of an object or living thing — with the modeling clay. 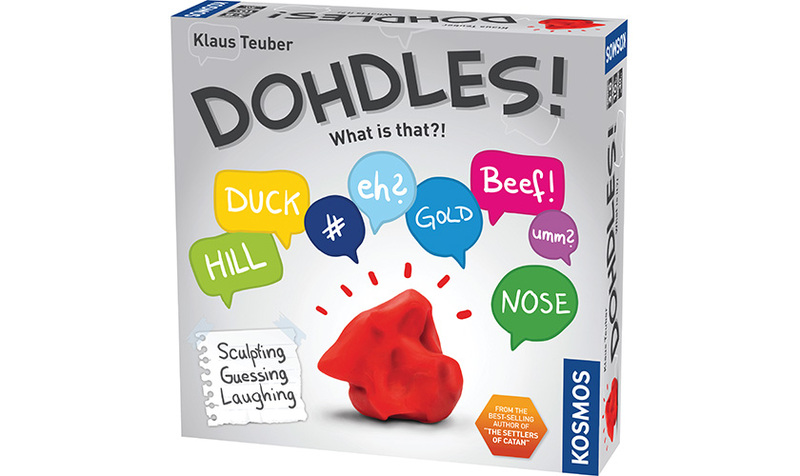 You don’t have to be a skilled sculptor or artist: You should actually form your Dohdle in such a way that your opponents cannot immediately recognize what it is supposed to represent. Even if you’re all thumbs when it comes to sculpting, you’ll be able to make a Dohdle that has the shape of a hotdog, a ball, a mailbox… anything! You receive points during the game if you guess the exact word that your opponent’s Dohdle represents. 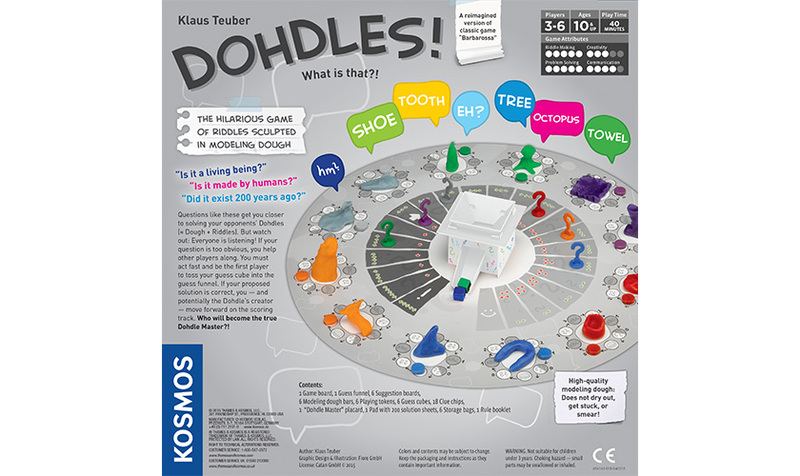 You also receive points if the solution to your Dohdle is neither too easy nor too difficult for your opponents to identify — ideally solved after four rounds of guessing. 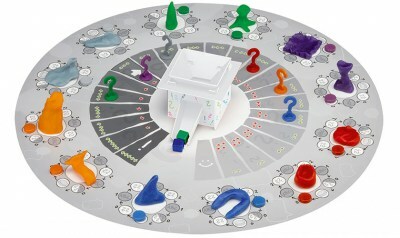 During your turn, you can alternately ask two yes-or-no questions or ask for a letter of the word to be revealed to help identify another player’s Dohdle. At any time, if you think you can identify a Dohdle, throw your guessing cube in the sorting funnel: The player whose cube comes out first can guess first. Points from correct guesses move you forward around the game board, and the player who makes it around the board first wins the game! The special clay will not dry out or harden and can be used again and again.